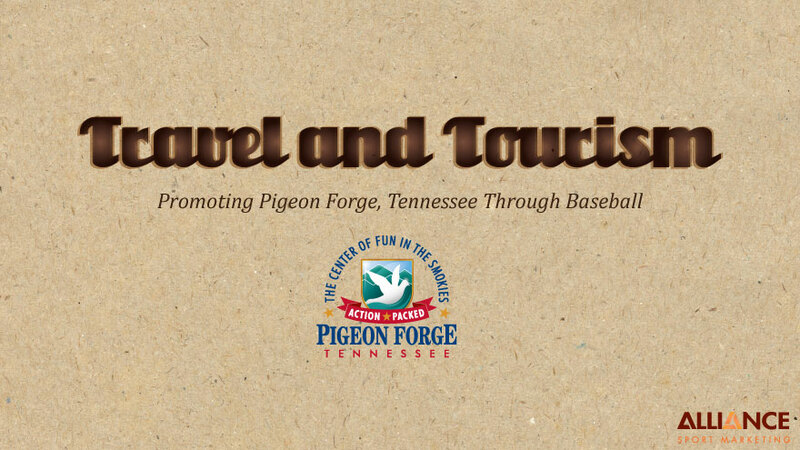 Promoting Pigeon Forge, Tennessee through baseball teams. Between 2004 to 2009, Pigeon Forge partnered with 31 minor league baseball teams promoting tourism to the area. Teams located within 500 miles of Pigeon Forge, Tennessee, were targeted for the promotion. The goal was to increase awareness of Pigeon Forge and develop a databes to send travel information. 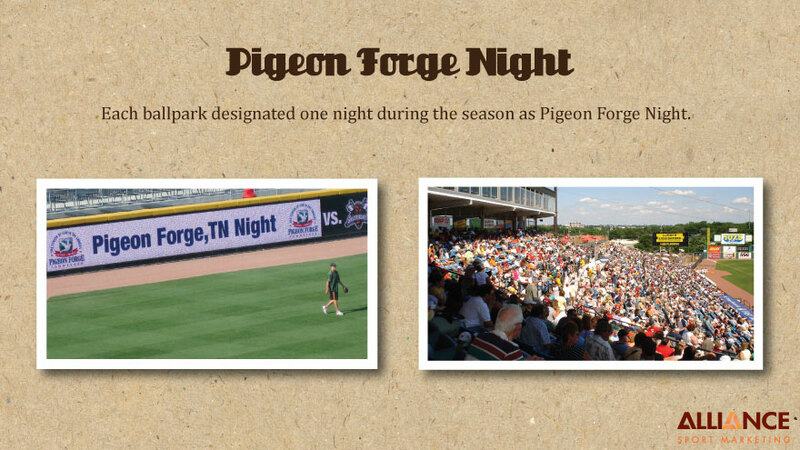 Each ballpark designated one night during the season as Pigeon Forge Night. 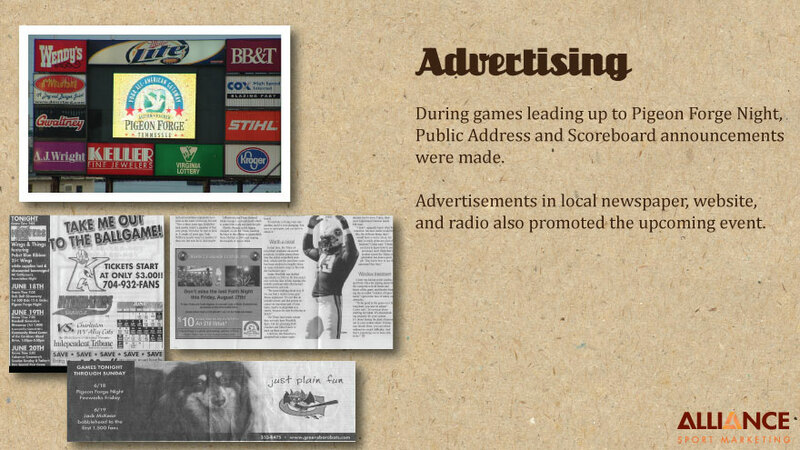 During games leading up to Pigeon Forge Night, Public Address and Scoreboard announcements were made. Advertisements in local newspaper, website,and radio also promoted the upcoming event. 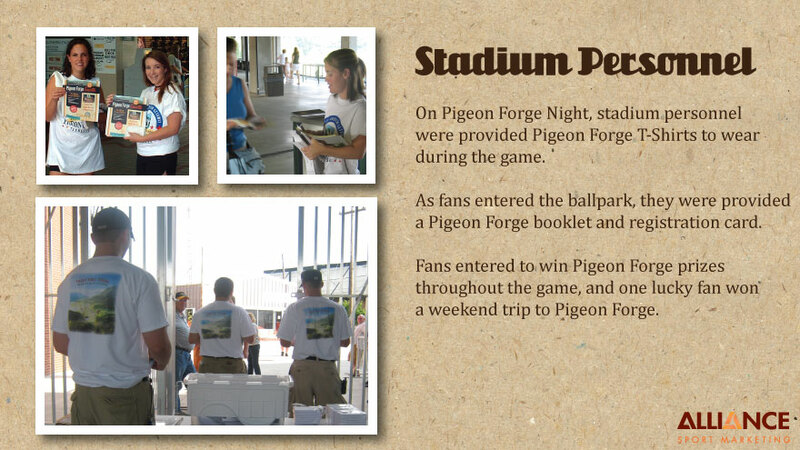 As fans entered the ballpark, they were provided a Pigeon Forge booklet and registration card. Fans entered to win Pigeon Forge prizes throughout the game, and one lucky fan won a weekend trip to Pigeon Forge. 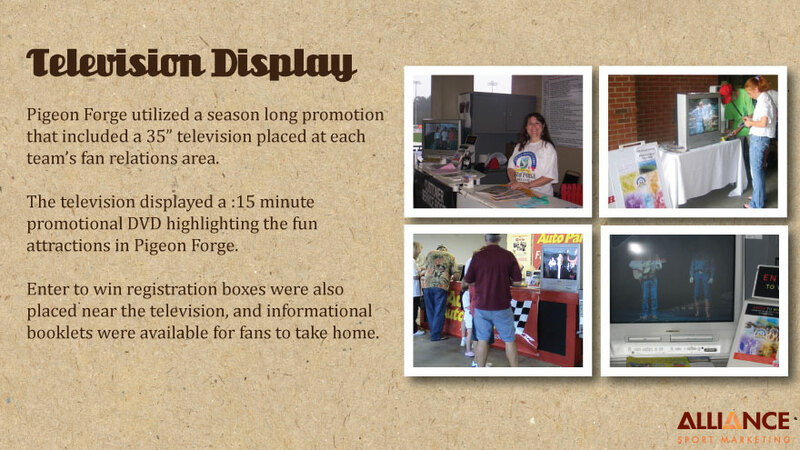 Pigeon Forge utilized a season long promotion that included a 35” television placed at each team’s fan relations area. Enter to win registration boxes were also placed near the television, and informational booklets were available for fans to take home. 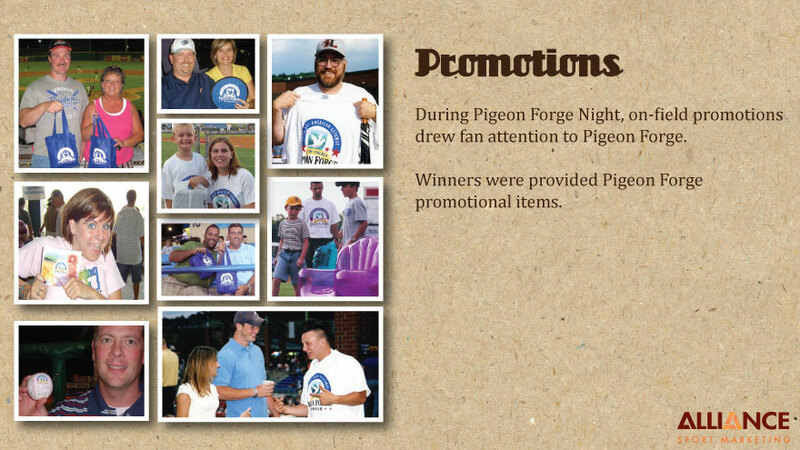 During Pigeon Forge Night, on-field promotions drew fan attention to Pigeon Forge. Winners were provided Pigeon Forge promotional items. 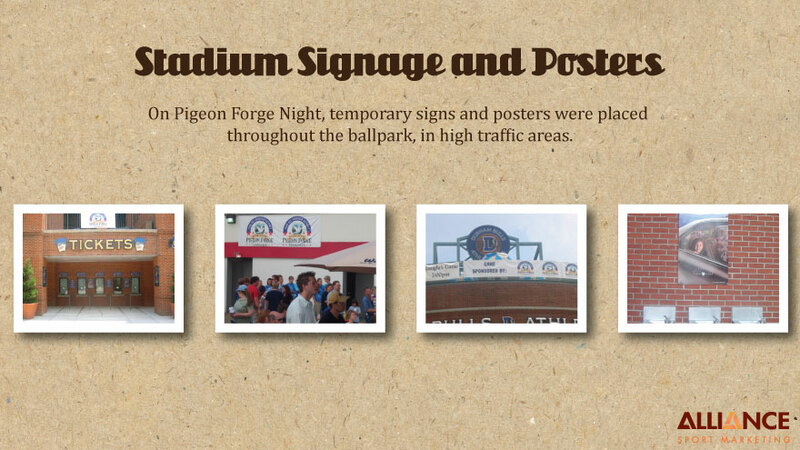 On Pigeon Forge Night, temporary signs and posters were placed throughout the ballpark, in high traffic areas.